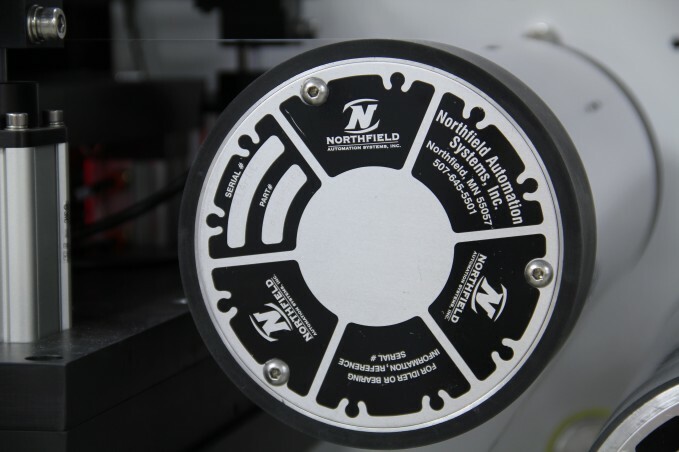 Northfield, Minn. – Northfield Automation Systems recently published its periodic “News and Notes” company highlights for the end of the first quarter of 2012. WORLD’S FIRST FLEXIBLE GLASS PROCESS LINE: Working in partnership with a California-based firm, NAS has developed the world’s first process line to run roll-to-roll flexible glass. The system, which will be fully installed and operational by this summer, is for a client in the electronics industry. WELCOME ABOARD! We recently brought on board two new team members to help us as we continue to work diligently to achieve complete customer satisfaction. Paul Vandergon is a new field service engineer and Joann Wellbrock joins our computer drafting department. Both bring a wealth of knowledge, extensive experience and an absolute commitment to helping our customers achieve their business objectives. LASER PROCESSING LINES: NAS engineering teams have been back and forth between Northfield, Korea and central Europe performing installations of more than 50 laser processing lines for a client in the display industry. Like many projects, these installations have been driven in part by the explosion of tablets, smartphones and mobile communications in general. GET TO MARKET FASTER: NAS recently got up and running the first roll-to-roll system for a European equipment maker focused on competing in the semi-conductor and energy markets. Tasked to provide the web handling system components for the company’s equipment offerings, NAS enabled the manufacturer to boost its ability to produce product faster, cheaper and more precisely. AROUND THE WORLD… AND BACK HOME AGAIN: Closer to home, NAS recently wrapped up multiple installations for a Minnesota glass producer. Providing electrical testing, vision inspection and software integration for the company’s products, NAS delivered “test houses” that made it possible to test sheets of multi-layer glass prior to release. LASER BAR CODING: Looking to ramp up your product traceability and characterization efforts? Talk to us. We’ve installed a number of laser bar coding components to help our customers collect detailed intel from the production process. Coding a product in-line makes it possible to capture key process feedback – speed, temperature, tension and other crucial information on system conditions – which can then be utilized in product characterization decisions. Want to see more? Watch NAS principal engineer and co-founder Doug Hall in this video. STILL SLITTING: Even with our expansion into multiple emerging markets, NAS continues to manufacture top-of-the-line process components for addition to existing lines or as the foundation for new lines. For example, we were recently on-site installing a slitter addition for an Oregon-based client in the energy industry. “We recently participated in the 2012 Flexible Electronics and Display Conference. As part of a presentation there, I spoke about roll-to-roll production and about the many advantages that are a part of a well-planned, well-executed system. Afterwards, I was asked what specific value we at NAS bring to the equation. It’s a good, fair question. Why not just find someone who can crank out the equipment, leaving the customer to hook it all together and get it running? We take it to the next step and provides the customer with a turnkey process ready to run when the customer takes ownership.